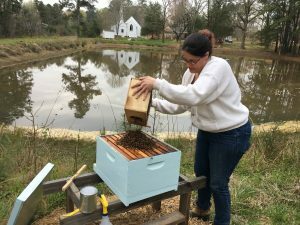 On Friday, April 6 a hive of 12,000 bees were installed in their new hive on the north side of the Advocate Pond. 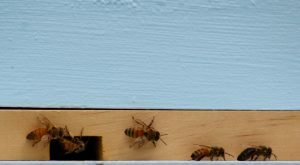 We can learn about bees, bee keeping, and the Advocate Church bees in particular, by following the blog, Glory Bees, found here. For more about the Piedmont Patch, look here. ← Piedmont Patch Upcoming Events!